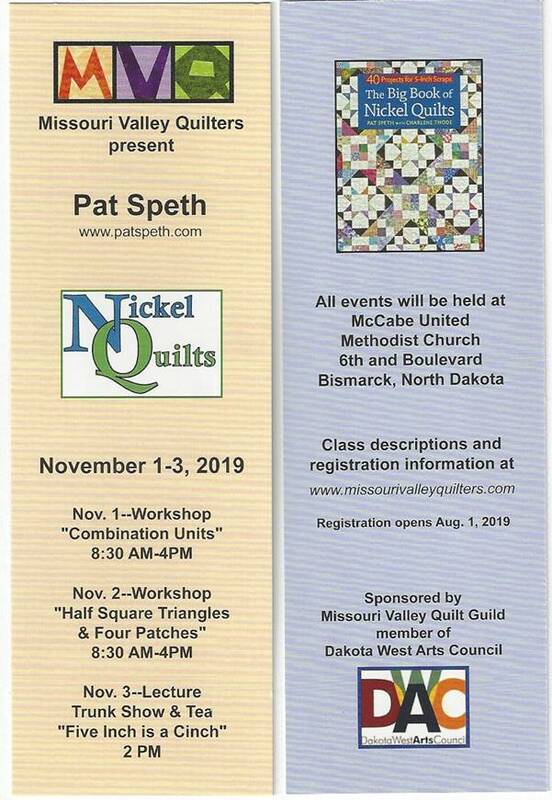 Welcome to the Missouri Valley Quilters Guild. The guild formed in 1986 to preserve, promote the heritage, educate and expand the art of quiltmaking. 1470 South Washington Street, Bismarck. When: Begin at 6:30 p.m. to whenever.